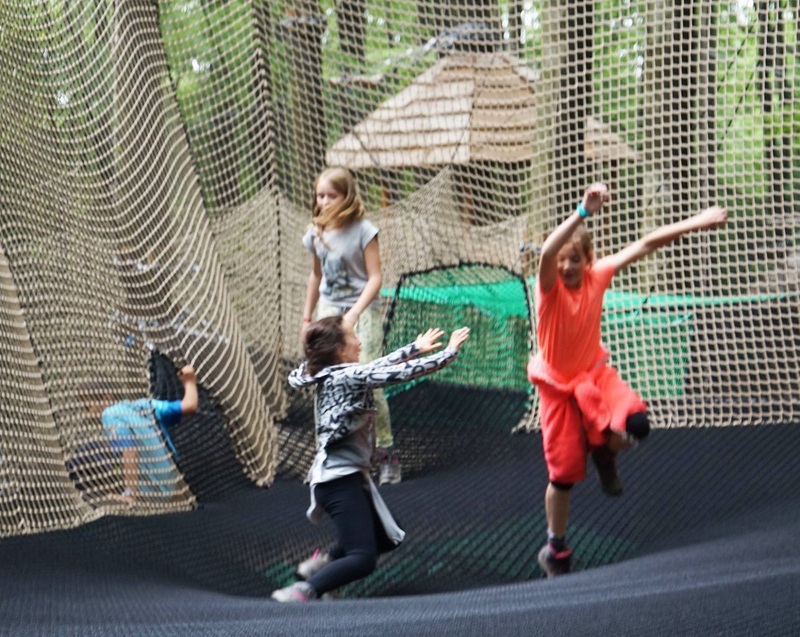 Are you owner of a high ropes course, treetop adventure or adventure park? Would you like to give your visitors something extra’s and let their visit be a lasting memory? Read about the possibilities which are applicable to every park. Your staff is really important and the success of the park depends for a great deal on enthusiastic and motivated staff. It can make a big difference in the way people talk about their visit when your staff is enthusiastic and can deliver this to the visitors. Enthusiastic staff can make people happy, motivate them and give them a safe feeling. Do you notice this is not the case? Then there is high chance that your visitors are less happy and potential word-of-mouth slips away. Theming or storytelling in a park can help a lot. It takes visitors on a trip which can be valuable for kids and adults. Is a story alone enough? No. The theming should connect with the park and how spectacular it is. If this is not the case, you are probably not doing the right thing. Theming can also offer unique collaborations and ensure a win-win situation for parties. Take a look at large theme parks such as Disneyland; with every activity you are taken into a unique story! These days it is not always enough to only entertain your visitors. Interaction with visitors is a great opportunity for a better experience. Recently we attended the opening of Moon Trees, an interactive game which can be played in treetop adventures. Teams must conquer trees (Moon Trees) and keep them by providing the trees ‘energy’ through a coin system. A game like this can stimulate climbing and give visitors a competitive game. 5 steps to an adventure concept Euro Attractions Show in Amsterdam!